This video lesson from ZEP Mountain Bike camps takes a look into the details behind the Downhill Body Position and how it ensures stability and balance to help improve your bike control and handling. This Video Lesson focuses on one of the most fundamental and important skills in riding; Body Position & Balance.When it comes to riding a bike downhill there are many skills you can work on to improve: Line Selection, Gears & Braking, Cornering and so on. After being able to control your speed with effective use of the brakes, this is the next most important skill in downhill riding because without it, all the other skills are pretty much impossible. Put simply, a rider who is not balanced on the bike cannot effectively control it, so things like Line Selection or Cornering suddenly become very difficult; more advanced skills thus rely on the strength and presence of the more fundamental skills. If you want to learn how to ride better, with more control, flow and general skill… the best place to start then is to look at yourBody Position & Balance on the bike. A rider with a better body position will be more stable and therefore more balanced… meaning literally anything they do on the bike will be easier. In other words, a great way of improving everything in your riding is to improve this skill. You want to corner or jump better… improve your body position & balance. Check out this Video Lesson and go ride armed with some new info on what you should be doing, why that helps and how to correct things if it’s not right. Ride loads and get used to feeling how different positions on the bike affect your stability, balance and the way the bike handles. You could also ride with your mates and give each other some pointers, or film yourself and analyze your own riding. Better yet, put the video up on here on Pinkbike, send us the link and we’ll be happy to offer some feedback. 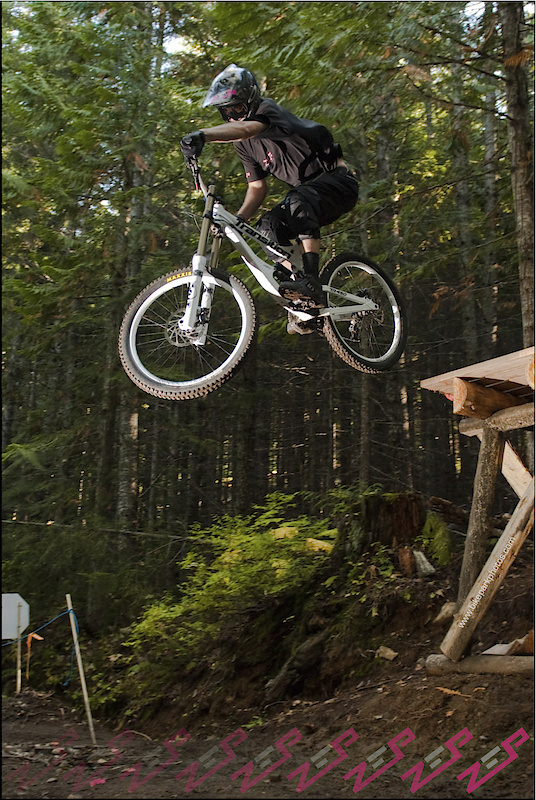 ZEP MTBCamps are supported by Transition Bikes, Fox Racing Shox, MRP, Straitline Components, Troy Lee Designs, Sunline, 661, Whistler Bike Park. ZEP Coaches are PMBI certified through the industries longest standing and highly recognized mountain bike instructor training courses; the Professional Mountain Bike Instructor Certification.